This two-floor condo welcomes you upstairs into the living room with a cozy fire place to relax and cuddle up. Just a few steps away is fresh air on the west facing balcony! Pull up a couple of seats to chat with the cook at the open kitchen bar top. Walking upstairs is your Master bedroom with a couple of closet storage areas leading to an en suite double sink bathroom and a large garden tub/shower. Another full bathroom and a spacious 2nd bedroom are located on the second floor. Your 2 bedroom, 2 bath condo, located in Trails at Parkfield, is waiting for your own personal touches and upgrades. This property comes with two uncovered assigned parking spaces and a Rare Additional Detached Storage Space #9G within the building. Community features clubhouse, swimming pool and fitness center. 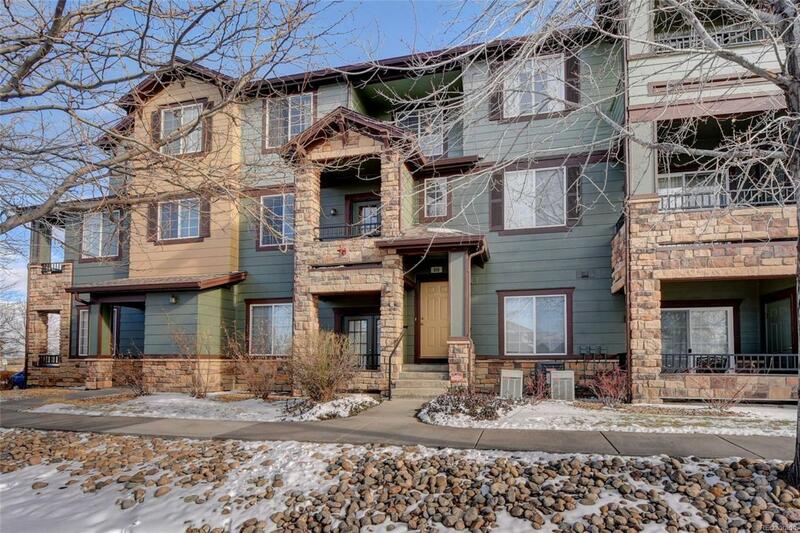 Easy Access to Highways, DIA and conveniently close to Light Rail, Rec Center, Park and Shops at Northfield Stapleton.